The dawning years of the nineteenth century were indeed years of great historic change. The Age of Reason was slowly disappearing over the horizon and the Romantic era was gradually rising to the fore. Moreover, it was a time of momentous social change and industrial progress, an age of revolution and powerful human expression. While Rousseau and Jefferson assailed the divine right of kings and proceeded to carve out their respective revolutionary ideals, great artists such as Beethoven, Goethe, and Goya were offering to the world their timeless creations. Meanwhile, the engines of the industrial machine were set in motion by the inventive genius of the age, creating a momentous force which has not ceased to this day. Thus the dawn of the nineteenth century was pervaded by the spirit of optimism and human ascent, and it was posited for the first time that the "theoretical possibility of uninterrupted human progress might be concretely realized. "1 But as contemporary historians have observed, the Romanticist "escape from reason" was nothing more than a "fallacy of hope,"2 an imaginary dream of utopian ideals from which the European man would awake in horror. Perhaps this shattered dream is best represented by the story of Beethoven and Napoleon, a story which seems to encapsulate the death of political idealism in nineteenth century Europe. As the story goes, Beethoven, though not a political man, but a grand admirer of Napoleon as an apostle of revolutionary ideals, dedicated his Third Symphony (Sinfonia Eroica) to the French general, inscibing "Buonaparte" at the very top of the manuscript's title page. However, in 1804 when the orchestral master heard that Napoleon crowned himself Emperor in the cathedral of Notre Dame, Beethoven flew into a rage and said, "Now too he will tread under foot all the rights of man, indulge in his own ambition; now he will think himself superior to all men and become a tyrant! "3 Infuriated, the master stormed to the table upon which his work of art lay, and tore the title page into shreds, the name of "Buonaparte" being committed to the hearth and flame. The resulting imperialism of Napoleon, then, would cause much dismay and disillusionment in the hearts of the European people; the intellectual edifice of Romanticism was doomed to collapse and a new context was being formed in which a new philosophy might emerge -- indeed, the philosophy of existentialism. Perhaps more than any other system of thought, the existential worldview is dependent on the socio-cultural context of the age. Unlike any form of transcendental idealism, existentialism envelops and engages troubled civilization, responding to the predicament of the existing individual. Thus, we can say that existentialism is a philosophy which is attentive to the anguish, aspirations, and needs of the people, a philosophy which moves the existent to realize his "ultimate concern,"4 and thus attain an authentic existence. So, when we reflect upon the societal conditions which prevailed in post-Napoleonic Europe, and then take into consideration the fact that rationalism and higher criticism had already contributed greatly to the erosion of biblical authority, it is not difficult to see how the philosophy of existentialism could have taken root, even though it would not flourish until the twentieth century. In truth, a concrete definition of existentialism is elusive, indeed a difficult assignment. For, it is not a philosophical system or school of thought per se, nor can it be reduced to a series of propositional truths or tenets. Furthermore, the philosophers which are identified as existentialists are thinkers who differ on the essentials; thus, existential thinkers should not be viewed categorically, but rather on a continuum which spans a wide range of thought. For this reason, then, we find within existentialism such Christian thinkers as Dostoevsky and Kierkegaard on one end of the spectrum, and such atheists as Nietzsche and Sartre on the other end.5 But what is common among existential thinkers is an attitude of revolt against traditional paradigms of thought, especially the epistemological and ontological structures offered in institutionalized Christianity and systematic philosophical idealism (e.g. Platonism or Hegelianism). Rather than viewing reality and existence from an objective rationalistic perspective, existentialism makes precedent the individual's subjective presence and participation in the changing world order.6 Truth is never realized by an a priori assent to a systematic worldview, but by the existent's dialectical interaction with the dynamics of the life situation. The meditative individual contemplates his finitude in the seeming void of the infinite, and endeavors to understand his relation to the world in order that he might attain some form of "authentic existence." Thus, through his own freedom and volition, the individual shapes his own existence, an existence which is part of abstract reality, but not necessarily dependent on it. Thus, authentic existence means that one must become more and more an individual and less and less a member of the "herd," or common humanity. Essentially, then, this is what is meant by the common existential refrain, "existence precedes essence." In sum, this is existentialism. In the text of this paper, we will explore the ideas of one of the pioneers of existential thought, the Danish philosopher Soren Kierkegaard (1813-55). Although we will allude to various aspects of his existential philosophy, our primary focus will be concerned with his distinct approach to Christianity against the backdrop of nineteenth century nominalism which prevailed in the Danish State Church as well as in Protestant Christianity in general. Soren Kierkegaard was a passionate thinker, sometimes eccentric, and sometimes cynical, who vigorously opposed "Christendom" in its nominal form. In doing so, he served as the prototypical thinker for future existentialists in their polemic against any form of institutionalized nominalism, whether religious, academic, social, or otherwise. Yet although Kierkegaard has been deemed the "father of existentialism" by many contemporary thinkers, it is doubtful that he would have recognized his own ideas in many of the twentieth century existential writings. At any rate, Kierkegaard's purpose was to awaken the masses from their passive spiritual slumber; and, in his mind, he even sacrificed his marital commitment to Regina Olsen in order to serve God for the sake of this higher principle. He truly believed that Christianity could address the individual existential concerns of the people; but true Christianity, for Kierkegaard, would come with a price. According to his way of thinking, in the early centuries of Christianity, becoming a Christian meant sacrifice and separation from the world, indeed renouncing the ways of the kosmos and following Christ in a continual state of self-surrender, even in the face of scorn and ridicule. In Kierkegaard's day, however, as well as in any era of nominalism, becoming a Christian meant conformity to social principles which were thought to have been derived from Christianity. Thus, in the Danish-Lutheran society, everyone was a Christian. And as Kierkegaard argued in his Attack Upon Christendom, "If all men are Christians, then Christianity eo ipso does not exist. "7 Thus, according to Kierkegaard, Christianity had been reduced to a meaningless and irrelevant system which was wholly foreign to its true original form as preserved in the New Testament. Rather than propagating Christian truth (as was supposed), the church was simply contributing to the abolition of authentic Christianity. As one would expect, because of his countercultural views, Soren Kierkegaard was made the object of scorn and ridicule in the Danish state press. 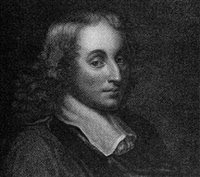 Thus, he was relatively unknown in his own day, unrewarded and unappreciated as a philosophical thinker. Like many of the great minds in history, he simply transcended the age in which he lived. Yet in retrospect, we can see that his philosophical and psychological penetration of the human spirit was so profound that the twentieth century zeitgeist would altogether be different without his important literary contributions. Soren Kierkegaard was born in Copenhagen, Denmark in 1813, and it seemed that tragedy would grip his family all the days of his life. By the time he was twenty-one, two of his sisters, a brother, and his mother had all died, and Soren himself would only life to the age of forty-one. Whether one would attribute such tragedy to his father, who as a young boy cursed God for seemingly condemning him to a life of obscurity on the shepherd plains of the Jutland Heath,9 or whether one would attribute such sickliness and frailty to a genetic abnormality which infected the Kierkegaard family, the fact remains that though Soren lived a short life, his proficient mind and prolific pen produced an abundance of ideas, which have earned their place in the bibliotheca of human thought. Most importantly, however, what aggravated Kierkegaard the most was that the Hegelian ethos had been superimposed upon the Danish State Church (and Protestantism in general), and had thus reinforced the spirit of nominalism within the church. Of course, Hegel's primary effort was directed at resolving the Kantian distinction between the phenomenal and the noumenal realms,14 the solution being a progressive dialectic between the two which would result in a synthesis of theological and philosophical postulates -- or as some contemporary scholars have asserted, a transformation of the Christian mythos into a philosophical/contemporary understanding.15 Practically, however, Christianity became equated with Christendom (or institutionalized nominalism), the criterion of faith being an assent to the ethical principles of the universal Christian system. Despite this, however, Kierkegaard viewed himself as the one who would "storm against Christendom" and expose the institutionalized nominalism which prevailed within the Danish State Church. In articulating authentic Christianity, he would build his system upon three pillars, namely, (1) the idea of the Three Spheres of Existence(i.e. the aesthetic, ethical, and religious) as set forth in his Stages on Life's Way, (2) his doctrine of Christ's invitation to the individual in Training in Christianity with the inherent "paradox" and "offense" associated with true faith in Christ -- the paradox and offense being the concept of "theanthropos," and finally (3) the so-called "leap of faith" which begins precisely where logical, systematic thinking leaves off. Essentially, then these are the three pillars upon which the Kierkegaardian "system" is built. Thus, it is within this core of his philosophy in which his developed ideas are contextualized and properly understood. Because of the brevity of this essay, in the following pages we will focus primarily on the first pillar, i.e. the Three Spheres of Existence, or "Stages on Life's Way." In the spring of 1845, Kierkegaard wrote his Stages on Life's Way, a work which ponders the question, "How should a human being exist?" Reminiscent of Plato's Symposium, the question is addressed from different perspectives by various fictional characters who have been invited to a banquet. (In the Symposium the issue of discussion was the "meaning of love"). In this work, though, Kierkegaard (through his fictional characters) delineates three spheres of existence or realms, namely the "aesthetic, ethical, and the religious. "22 Contrary to Hegel's triadic logical progression (thesis, antithesis, synthesis) which leads to the individual's greater metaphysical understanding,23 Kierkegaard's concern is the psycho-spiritual growth of the individual personality through a series of triadic stages. The first stage, or aesthetical sphere of existence, is concerned with the sensual world of gratification, pleasure, and worldly pursuits. It is the realm in which man feeds his impulses and emotions, excluding from the forefront of his consciousness "fixed universal standards" and "religious faith. "24 As Copleston observes, "Open to all emotional and sense experience, sampling the nectar from every flower, he hates all that would limit his field of choice and he never gives definite form to his life. "25 It must be said, however, at this point, that Kierkegaard does not mean to equate aestheticism to mere hedonism, although hedonism would certainly be included in the aesthetic category. Rather, the Kierkegaardian concept of the "aesthetic level of existence" would include primarily, in the Epicurean sense, a priority of immediate self-fulfillment in apposition to some form of loyalty to a supreme universal law. Accordingly, then, the aesthete discovers no contentment in his self-absorbed pursuits (resulting in "despair") and is thus faced with a critical "choice," indeed an "Either/Or," i.e. whether to remain in the aesthetical sphere of existence (what Kierkegaard metaphorically regards as "the cellar,"26 never attaining any form of "authentic existence." Nevertheless, some men realize the futility of living in the aesthetical sphere, and thus "choose" to proceed to a life of duty, commitment, and morality -- indeed, the second "stage on life's way," the ethical sphere of existence. Whereas the aesthetical stage is typified by the passionate Don Juan, who in European myth (e.g. Mozart's Don Giovanni) lived a life of immediate satisfaction in every situation, the ethical stage is typified by Socrates, a man who though it his duty to pursue a life of virtue in obedience to a universal principle.27 The ethical man, then, accepts universal moral principles and assents to a higher law, thus giving "form and consistency to his life. "28 In Kierkegaardian thought, the idea of transition, i.e. of a man who moves from the aesthetic to the ethical level of existence, can be found in the analogy of a man who renounces mere sexual impulses and the convenience of non-commitment and instead enters into a state of marriage, thus making a lifelong covenant with his lover according to the dictates of a higher universal law.29 Accordingly, he has moved from the aesthetic into the ethical sphere of existence, and has thus progressed toward an authentic form of existence. In the ethical life of duty and commitment, the existent pursues a life of virtue and moral assent to the universal; however, a truly earnest attempt to live such a life eventually results in the individual's awareness of his own insufficiency and shortcomings. He realizes that his autonomous internal volitional powers are unable to bring him to the level of an authentic ethical existence. Thus, the existent reaches the classic point of "despair" and is again faced with the critical "choice" of "Either/Or," i.e. whether to make the transition to the next level, i.e. the religious sphere of existence. Interestingly, within the ethical stage Kierkegaard introduces to us the tragic hero, i.e. one who sacrifices himself for the universal moral law. In essence, the tragic hero divests himself of his own self-interests for the sake of the universal. An example of the tragic hero would be Socrates, who refused to participate in a last minute plot which would free him from prison, his purpose being that the integrity of his teaching might be jeopardized -- thus, a heroic action of self-sacrifice or martyrdom for the sake of the universal. Or King Agamemnon, who in the Iliad, could not set sail for the shores of Troy because he had offended Artemis (cf. Euripides', "Iphigenia at Aulis) a goddess who thwarted the efforts of his naval fleet and then demanded the sacrificial blood of his daughter Iphigenia for propitiation. as a royal figure who recognized that the fate of all Greece was at stake, and that he had made alliances with Menelaus, Achilles, and Odysseus to go to war against Troy, Agamemnon became a tragic hero by sacrificing his own daughter for the sake of the universal, i.e. the fate of his nation.30 And indeed, throughout history, how many hundreds of thousands of people have sacrificed their lives for the greater good (the universal) of their nation? Yet Kierkegaard, in his book Fear and Trembling, goes on to contrast this tragic hero (or "knight of resignation") with what he calls the "knight of faith" (a subject to which we will allude in our discussion of the "third stage on life's way," i.e. the religious sphere of existence). Now the prototypical figure for Kierkegaard in illustrating the religious sphere of existence is the biblical patriarch Abraham. As Kierkegaard relates to us in his Fear and Trembling, God requires Abraham to appropriate and affirm his relationship to God "in faith" by suspending any adherence to the universal ethical law. According to the Kantian dictum, there could be no transcendence of the universal ethical law since it was precisely man's conformity to this law that measured man's perfection or lack thereof.32 So, whereas ethical univerality became a teleological end for Kant, it was the suspension of such ethical universality that provided the theme for Kierkegaard's hermeneutical investigation of the biblical Abraham. Thus, it is within this realm of "subjectivity" that the existent Abraham communes with God. There is no conformity to an objectively defined Hegelian system, there is no conformity to the Kantian dictum, and external impositions and influences cannot penetrate this realm of "subjectivity." Abraham stands alone before God, in "fear and trembling," unconditionally accepting the call to faith which God has required. It is here, then, that Kierkegaard contrasts the tragic hero (or "knight of resignation") with the "knight of faith" who is Abraham. As Kierkegaard observes, the tragic hero like Socrates or Agamemnon resigns himself to the fact that his self-sacrifice will result in an irreversible finality -- nevertheless, a finality which will result in the good of the universal. For instance, Socrates knows that his death is imminent, but his conscience is assured that his sacrificial action is in congruity with the universal. And Agamemnon, as well as Iphigenia, are assured that the required propitiatory sacrifice to Artemis will result in victory for the Greeks. Thus, their action is interpreted as a "sacrifice for the universal cause." In Kierkegaardian language, then, we can say that these tragic heroes are knights of resignation because they have have infinitely resigned their fates to the good of the universal. 1. George Perkins, et al., eds. The American Tradition in Literature. 7th ed. New York: McGraw, 1990, p. 245. 2. Kenneth Clark, Civilisation: A Personal View. New York: Harper, 1969, p. 293. 3. 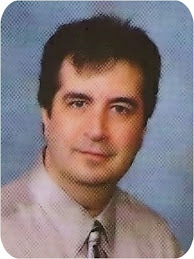 Michael Hamburger, ed. Beethoven: Letter, Journals, and Conversations. New York: Thames and Hudson, 1951, p. 47. 1946, p. xxi. *Though the term "ultimate concern" was utilized and later developed by the theologian Paul Tillich, the idea is throughly Kierkegaardian. 5. Walter Kaufmann, ed. Existentialism from Dostoevsky to Sartre. New York: Meridian, 1989, p. 11. 6. Antony Flew, ed. A Dictionary of Philosophy. "Existentialism"
New York: St Martin's Press, 1984, p. 115. 7. Soren Kierkegaard, Attack Upon Christendom, in Bretall, p. 446. 8. Kierkegaard, The Journals, in Bretall, p. 2. 11. Frederick Copleston, A History of Philosophy: From the Post-Kantian Idealists to Marx, Kierkegaard, and Nietzsche. Vol. 7 of 9. New York: Doubleday, 1965, p. 335. 16. Soren Kierkegaard, Fear and Trembling. Trans. Alastair Hannay. London: Penguin, 1985, p. 29. 17. Kierkegaard, The Point of View, in Bretall. pp. 330-31. 18. Kierkegaard, Training in Christianity, in Bretall, p. 396. 19. Kierkegaard, The Point of View, in Bretall, p. 332. 20. James Collins, The Existentialists. Chicago: Henry Regenry Co., 1952, p. 16. 21. Kierkegaard, The Point of View, in Bretall, p. 331. 26. Kierkegaard, Sickness Unto Death, in Bretall, p. 346. 27. Plato, Apology. Trans. Benjamin Jowett New York: Modern Library, 1928, p. 75. 30. Kierkegaard, Fear and Trembling, p. 139. 33. Kierkegaard, Fear and Trembling, p. 139. 35. Collins, The Mind of Kierkegaard, p. 96. 36. Kierkegaard, Fear and Trembling, p. 75. For those students of Christology who have now begun their in-depth study of the Fourth Gospel, what is perhaps most important to understand is that we are reaching into the very heart of the incarnation, which is nothing less than the study of the Divine Logos and its ontological and metaphysical meaning. Most readers of Scripture believe they already have an adequate grasp of the incarnation, and to an extent this is true, yet at least on the college level it is necessary for students to press further into understanding the "Divine Logos" and its historic undercurrent which is rooted in both ancient Greek and Judaic thought. Ultimately this gives us a deeper creedal understanding of the incarnation - in fact, it is assured that once one embarks on this quest, they will never conceive of the incarnation in the same terms. It is my hope that for your own spiritual growth and improvement of scripturual understanding you take a few minutes to read this essay - take it to heart and behold that the Holy Spirit who superintended and breathed his words into the gospel writers grafted a script so multi-dimensional that without such intense study, the jewels of this holy writing would go wholly undetected. What he has given in the concept of the "Divine Logos" is utterly mindblowing! All things were made through Him . 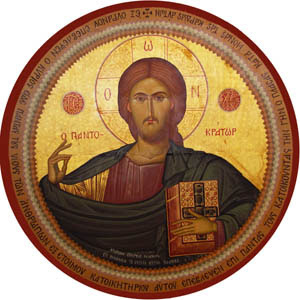 . .
At the ancient monastery church in Daphne, Greece, there looms in the dome of the cathedral a colossal mosaic of Christ Pantocrator, its ominous presence imposing upon all who enter into the hallowed room. Indeed, the eleventh century icon reveals that awesome, majestic power that overthrew the death tyrant nearly two-thousand years ago. And like the historic Christ who pierced the veil of darkness with the glorious light of His immortality, so too, the iconographic depiction bursts forth showing Jesus Christ as the "King of kings and Lord of lords," the divine Logos, enthroned in the heavens -- the ruler and center of the universe. Obviously, from a theological perspective, the ancient Daphne mosaic reflects the high Christology of Nicaea and Chalcedon, a Christology ultimately derived from the Johannine doctrine of the Logos. But whereas it is simple to deduce the theological origin and background of the awe-inspiring mosaic, the influences which compelled the fourth evangelist to use the Logos designation as a descriptive appellation for the Savior are much more elusive. Indeed, this is indicated by the fact that, even though a considerable body of scholarly literature has been devoted to identifying the primary influence(s) behind the Johannine designation, there still remains a general lack of consensus in the academic forum as to the origin and background of the Johannine Logos doctrine. The first thinker to advance his thesis on this cosmological/metaphysical problem was Thales (ca. 600 BC), the founder of the Milesian school of philosophy in Ionia, the cradle of Western thought. (At that time, the Ionian Coast on the west coast of Asia Minor, or modern day Turkey, was an Athenian colony. It was also the approximate region of the seven churches of Asia Minor as mentioned in the biblical Apocalypse of John). In essence, Thales posited the idea that the unifying principle behind ultimate reality was simply water (in its gaseous, liquid, and solid forms).3 Although such a proposition may seem ludicrous to the contemporary mind, what is important here is that Thales raised the question as to the nature of the unifying prinicple, and he opened the door for further metaphyiscal speculation.4 The successors of Thales differed widely in their propositions, Anaximander positing infinity as the unifying principle, and Anaximenes suggesting air; but it was Heraclitus of Ephesus (fl. 504-501 BC) who first used the term logos in connection with the concept of the unifying prinicple. In his speculations, he identified the logos as the universal Reason, i.e. "the universal law immanent in all things, binding all things into a unity and determining the constant change in the universe according to universal law. "5 Certainly, Heraclitus did not posit the existence of a transcendent monotheistic deity, but he did recognize that, in a universe of constant change, the metaphysical logos remained constant as the underlying principle of order. In subsequent centuries, during the Socratic, Platonic, and Aristotelian periods, the great philosophers made little contribution to the Heraclitean logos doctrine, their concerns being epistemologcial rather than speculative.6 But beginning with Zeno (ca. 300 BC) and the rise of the early Stoa, the Heraclitean logos was revived and systematized within the framework of Stoic pantheism.7 Essentially, the Stoics believed that the unifying principle behind ultimate reality was an all-pervading cosmic fiery vapor which they termed "logos spermatikos" (seminal reason), and which they identified with an impersonal pantheistic God.8 Accordingly, this seminal logos (or vital energy) was the "generative principle" of the cosmos, as well as the universal Reason (or rationale) which determined and kept in order the particulars of the universe.9 Simply, the Logos was the rational element which pervaded the universe and unified reality. Thus, in Stoic thought, the Heraclitean logos received its greatest expression, resuming a central role in Hellenistic philosophical cosmology. Although it appears that both Justin and Clement inferred a Hellenistic nuance from the Logos Christology of John, it must be remembered that these apologists were very much predisposed to Greek philosophy in their thinking -- Justin being a converted Stoic/Pythagorean/Platonist (he continued to wear the pallium), and Clement being a native of Alexandria, a convert from Stoicism.13 In our discussion regarding the background of the Johannine Logos, then, the early apologists are not especially helpful, since it is difficult to ascertain if they were truly reflecting the Christological tradition of the Johannine community, or if they were merely superimposing their own Hellenist preconceptions onto the Johannine doctrine (even as Philo of Alexandria sought to synthesize Hellenistic and Judaic thought). In the case of Justin, we are more inclined to believe that he utilized Greek philosophical speculation as a "point of contact" for intellectual and apologetical concerns rather than as the controlling center of his epistemic system; for, throughout his writings he continually asserts the preeminence of biblical truth over philosophy.14 Nevertheless, an appeal to Justin's Logos Christology as evidence of a Hellenistic background for the Johannine doctrine is tenuous at best. In the twentieth century, however, the late-date hypothesis would be overthrown with the discover of Rylands Papyrus 457 (P52), an Egyptian codex fragment of John 18:31-33, 37-38, which first came to light in 1935. With the discovery and publication of this earliest extant New Testament manuscript, a hundred years of sophisticated critical theories were tossed onto the ash heap of history. Many eminent scholars such as Sir Fredrick Kenyon reconized the manuscript as early second century, dating to about AD 130.17 But a more recent analysis by Kurt Aland suggests a much earlier date probably at the "beginning of the second century. "18 In either case, contemporary New Testament scholarship is now in agreement with the traditional view that the Fourth Gospel is indeed a first century composition. Now with regard to the nineteenth century critical assertion that the dualistic paradigm in John betrays a Hellenistic influence (Platonic idealism), the discovery of the Dead Sea Scrolls in 1947 would altogether eliminate that notion. Indeed, several of the Qumran texts, especially the Rule of the Community (1QS) and the War Scroll (1QM), exhibit a dualistic motif, which, according to most scholars, is entirely independent from Platonic idealism, yet hauntingly similar to the dualism of John.19 Hence, since the discovery of the Qumran Scrolls, the dualism which characterizes the Johannine program does not necessitate a Hellenistic antecedent, since the Essenic writings prove that such language was proper to Judean religious thought in the first century AD. Needless to say, because of these discoveries (as well as other advances in New Testament studies), contemporary Johannine scholarship has shifted markedly from a Hellenistic orientation to a more Judeo-centric approach; and this radical change in methodology has weighed heavily in the debate regarding the origin and background of the Johannine Logos. Most scholars, instead of looking to the Heraclitean/Stoic ideologies for answers, now place tremendous emphasis on the author's dependence on the Creation/Sinai motifs and the Hebrew dabar/YHWH ("word of the Lord"), as well as some of the parallels which can be found in Jewish Wisdom Literature.20 At this point in our discussion, then, let us consider the relevancy of these Judaic elements. A simple reading of the Prologue should immediately conjure up images of the Creation and Sinai stories from the Pentateuch. Even the words, "In the beginning" (= en arche - John 1:1), are identical to the LXX translation of the Hebrew Gen 1:1 text, indicating that the evangelist's intent, at the outset, was to establish a Judaic context for the rest of the Prologue.21 In the following verse, the evangelist would further integrate other concepts from Genesis 1-3, such as creation, light, life, darkness, etc., ultimately progressing to verse 14a (lit. "And the Word became flesh and 'pitched His tent' among us, and we beheld 'His glory'"), an obvious allusion to the Sinai/Tabernacle motif of Exodus 40:34ff. As Raymond E. Brown comments, "When the Prologue proclaims that the Word made his dwelling among men, we are being told that the flesh of Jesus Christ is the new localizaiton of God's presence on earth, and that Jesus is the replacement of the ancient Tabernacle. "22 Thus, in the incarnational Christology of John the manifestation (theophany) of God's glory (shekinah) plays a controlling hermeneutical role. Therefore, the Pentateuchal context of the Prologue would suggest that we look for a Judaic background to the Johannine doctrine of the Logos. In searching for Old Testament parallels, the recurrent phrase "word of the Lord" (dabar YHWH = logos kyriou LXX) immediately strikes us as the most likely antecedent for the the Johannine Logos. Indeed, this concept was critical to the whole idea of divine revelation, and, as a phenomenon experienced by the Hebrew prophets (e.g. "The word of the Lord came to Zechariah . . ." - 1:1), the word consisted of ther thoughts and will of God.23 Moreover, it served as the effective instrument of His divine action; thus, for the Psalmist, "the word of the Lord" served as the mediatorial agent of creation (33:6), while for the prophets of God, the "word of the Lord" possessed an inherent life-giving power (Isa 55:3).24 Interestingly, both of these themes are prevalent in the Johannine Prologue. Now although the "word of the Lord" was never explicitly personified in Hebraic thought, it nevertheless possessed a "quasi-substantial existence of its own. "25 Certainly, this is evident from numerous texts, but there is one scripture in particular in which the "word" serves an independent function which is almost identically parallel to the incarnational motif of the Johannine Prologue. In the Isaian invitation to the abundant life (Isa 55), a chapter to which Jesus often alluded, there is a verse (11) which says, "So shall my 'word' be that goes forth from My mouth; it shall not return to Me empty, but it shall accomplish what I please, and it shall prosper in the thing for which I sent it." As Brown indicates, "We have here the same cycle of coming down and returning that we encounter in the Prologue. "26 Thus, it seems an inescapable conclusion that the Johannine Logos, as the incarnation and revelation of the mind and will of God, is firmly rooted in the Old Testament concept of dabar YHWH // logos Kyriou LXX // memra Adonai Targum. 1. "In the beginning was the Word (Logos)" (John 1:1). -"The Lord created me (Wisdom) at the beginning of His work" (Prov 8:22). -"From eternity, in the beginning He created me (Wisdom)" (Sir 24:9). -"For Wisdom is the fashioner of all things" (Wis 7:2). 3. "That which came to be in Him was life" (John 1:3-4). -"For he who finds me finds life" (Prov 8:35). 4. "The light shines in the darkness, and the darkness has not overcome it" (John 1:5). -"For the light is succeeded by night, but against Wisdom evil does not prevail"
5. "Yet the world knew Him not" (John 1:10). -"No one knows the way to her (Wisdom) or is concerned about the path to her"
Book of the commandment of God and the law that endures forever" (Bar 3:37-4:1). 7. "And His own received Him not" (John 1:11). -"You (Israel) have forsaken the fountain of wisdom" (Bar 3:12). 8. "And the Word (Logos) became flesh and dwelt among us" (John 1:14). -"Then the Creator of all things gave me (Wisdom) a commandment, and . . .
assigned a place for my tent. And he said, 'Make your dwelling in Jacob . . .'"
In analyzing the parallels between the posed writings, it is important to recognize that the similarities are not only conceptual, but also stylistic, reflecting anlalogous linguistic phrases and poetic patterns.29 Furthermore, comparative studies between the Prologue and Sirach, for instance, have revealed that not only are the mediatorial functions of Wisdom and the Logos strikingly similar, but "the order in which these functions are presented is roughly the same. "30 Thus, from this evidence, Johannine dependence on Jewish Wisdom Literature is more than certain. In sum, it seems that the suggested Judaic background provides a sufficient context for the origin of the Johannine doctrine of the Logos. Even as contemporary New Testament scholarship has concluded, the Creation/Sinai motifs, the Hebrew dabar YHWH, and the parallels within Jewish Wisdom Literature all provide a firm foundation upon which the Johannine theologian could have presented his Christian Logos. Nevertheless, to dismiss entirely the Greek philosophical nuances inherent in the word Logos (1:1) would be to disregard the Hellenistic zeitgeist which prevailed during the Roman era; and furthermore, it would ignore the historical/geographical considerations which are pivotal in one's understanding of the authorial intent of the Johannine writing. If the author of the Fourth Gospel was indeed the Apostle John writing from Ephesus about AD 90,31 then we can be certain that he would have been well-acquainted with certain Hellenistic ideologies, including the Heraclitean/Stoic conception of the Logos.32 Ephesus, which was the capital of proconsular Asia, was one of the chief centers of Hellenistic culture; and though the city was renowned for its Artemis cult and accompanying polytheistic ritualism, it was also the home of the ancient Heraclitus, the father of the cosmological logos doctrine, who incidentally was greatly revered even in John's day. And nearby was the city of Miletus (about 20 miles away),33 the very cradle of Greek philosophy, where Thales, Anximander, and Anaximenes once speculated about the unifying principle, and wondered about the underlying reason which pervaded metaphysical and cosmological reality. ed. James Orr, 5 vols. Grand Rapids: Eerdmans, 1939, 3:1916. 2. Frederick Copleston, Greece and Rome: Pre-Socratics to Plotinus Vol. 1 of A History of Philosophy, 9 vols., New York: Image, 1946, p. 20.
ed. Merrill C. Tenney, 5 vols. Grand Rapids: Zondervan, 1975, 3:953. 10. Ed. L. Miller, "The Logos of Heraclitus: Updating the Report,"
Harvard Theological Review 74:2 (1981):161-76. 14. Theodore Stylianopoulos, "Justin Martyr" in Encyclopedia of Early Christianity, London: Garland, 1990, pp. 514-16. Revised Edition 1990, p. 297.
ed. David Noel Freedman, New York: Doubleday, 1966, LXXXIII. Gospel" in New Testament Studies (vol. 32: 1986), 161-86. 21. Brown, Sec. 1, p. 4. 23. "Dabar" in Vine's Expository Dictionary of Biblical Words, eds. W. E. Vine et al. Nashville: Nelson, Revised 1985, p. 240.
ed. David Noel Freedman, New York: Doubleday, 4:348-56. 31. Contrary to sophisticated critical theories which are prevalent in scholarly circles today, we have presupposed the tradition of the early Church -- a tradition passed on from Polycarp (c. 71-156) to Irenaeus (c. 115-202) -- namely, that the Fourth Gospel was the work of John the apostle in the last decade of the first century. It must be noted that modern criticism has attacked the Irenaean testimony of apostolic authorship, but this assessment is not based on objective, historical evidence; but rather, it is motivated by the implications of critical presuppositions which cannot be reconciled with the early testimony of the Bishop of Lyons (cf. Guthrie, p. 270). As an aside, a similar scholarly criticism was leveled against Irenaeus in his depiction of Gnosticism (Adversus Haereses), the claim being that Irenaeus was a propagandist who sought to present the Gnostics in their worst possible light. However, after the discovery of the Nag Hammadi codices in 1949, the polemical writings of Irenaeus were corroborated and thus proved accurate by the Gnostic texts themselves. In my view, then, Irenaeus is a reliable witness to the apostolic authorship of the Fourth Gospel. and furthermore, this confidence is buttressed by the testimony of the Muratorian Canon (AD 170), Tertullian, Clement of Alexandria, and Origen. Simply, if Irenaeus claimed that, as a young boy, he heard Polycarp (a disciple of John) attest to the apostle's authorship of the Fourth Gospel, there is really no reason to disbelieve him. Indeed, if we cannot rely on a tradition as strong as this, then in my view, the whole category of "tradition" as a means of discovering historical truth is entirely worthless. 32. The First Epistle of John, in its polemical thrust against the Gnostic heresy, demonstrates that John was very well-acquainted with Hellenistic ideologies. (cf. John Stott, The Epistles of John, Leicester: InterVarsity, 1960). 33. This is the site where Thales founded the Milesian school of philosophy, and also, where Paul exhorted the Ephesian elders as recorded in Acts 20. For nearly 1800 years, Jesus of Nazareth was regarded as the "King of kings" and "Lord of lords" -- the divine Logos, the ruler of the universe, to whom all creation would one day bow down. It was he, the Son of God, who willingly entered into the human realm -- yes, the great mystery of the Incarnation, of God becoming man, of which Thomas Aquinas once wrote, "involved no change in God's eternal state, but united him in a new way with what he created, or rather, united what he created with himself." It was that great mystery which C.S. Lewis so eloquently called "the Grand Miracle," the miracle of God descending into the human sphere, "down from the heights of absolute being into time and space, down into humanity . . . to come up again and bring the whole ruined world up with Him." Indeed, this was the orthodox portrait of Christ - in fact, the only christological portrait that hung in the museum of classic orthodox theology. Now, however, the gallery is full of a number of portraits, all depcting something different, all reflecting contrary interpretations of the Jesus figure -- meanwhile, the orthodox portrait seems to be decomposing . . . How did this come to be? In about the year 1600, when the Copernican Revolution began to change the landscape of man's thinking, overthrowing the beliefs of the ancients which had persisted for several thousand years, Western philosophers, too, began to question ancient roots and the procession of truth down through the ages. Of course, the guardian of that truth had been the Church; thus, the aim of skepticism would be directed at the Church, even as it is in our day. However, during the era leading up to the Enlightenment (ca. 1800), philosophers such as Rene Descartes (1596-1650) and scientists such as Isaac Newton (1647-1727) began positing a "mechanistic view of the universe," which essentially states that the physical universe is governed by certain inviolable "laws." Indeed, so powerful and far-reaching was this concept that scientists, philosophers, and many theologians began shifting their views about the ancient world. In 1748, the Scottish philosopher David Hume asked the question, "If the universe is governed by certain invioable laws; from whence do miracles come, for miracles are a "violation" of the laws of nature." As C.S. Lewis once said, Hume devastated biblical studies along with theology, positing the notion that many of the miracle stories in the Bible "probably" did not occur. With Hume and others, then, "Skepticism" became an academically credible exercise. "Mark having become the interpreter of Peter, wrote down accurately whatsoever he remembered. It was not, however, in exact order that he related the saying or deeds of Christ. For [Mark] neither heard the Lord nor accompanied him. Yet Mark made no mistake in writing them [as he remembered them from Peter]. For of one thing he took special care, not to omit anything he had heard, and not to put anything fictitious into the statements. Matthew put together the sayings of the Lord in the Aramaic language, and each one interpreted them as best he could." Because of some of the chronological problems in "Fragments," and because the above text seems to have an apologetic overtone, many higher critical scholars are suspicious with regard to the reliability of this witness. However, recent scholarly work, especially that of Richard Bauckham, has vigorously defended the credibility of Papias as an early witness. "Matthew also issued a written Gospel among the Hebrews in their own dialect, while Peter and Paul were preaching at Rome, and laying foundations of the Church. After their departure, Mark, the disciple and interpreter of Peter did also hand down to us in writing what had been preached by Peter. Luke also, the companion of Paul, recorded in a book the Gospel preached by him. Afterward, John, the disciple of the Lord, who also had leaned upon His breast, did himself publish a Gospel during his residence at Ephesus in Asia. These have all declared to us that there is one God, Creator of heaven and earth, announced by the law and the prophets; and one Christ, the Son of God. If anyone does not agree to these truths, he despises the companions of the Lord; nay more, he despises Christ himself the Lord . . ."
Thus, the process of canonization had begun, and after Irenaeus, important canon lists began to appear - e.g. the canon of the Church at Rome (Muratorian Canon) - ca. 200, which excluded 1 Peter, 2 Peter, 3 John, Hebrews - yet included, the Revelation of Peter and the Wisdom of Solomon. In 250, Origen of Alexandria, articulated his canon as 20/27 books that we accept today, excluding Hebrews, James, 2 Peter, 2 John, 3 John, and Jude. As time progressed, the Church wrestled with this issue, until Athanasius, in his Paschal Epistle of 363, identified the canon as the precise canon that we receive today. This authoritative declaration was chiseled in stone, at the Council of Carthage in 397. This is not to say, however, that the "church council" which convened at Carthage in 397 decided to admit certain New Testament books into the canon while tossing others onto the ash heap of history (a common misconception). Rather, the key NT books (e.g. the Four Gospels, the Pauline Epistles, et al.) were accepted early on by all the churches, while the remainder were read in the churches as well, albeit in a semi-canonical status. The evolution of the canon, say in the ante-Nicene era, was not a negative process which served the theological interests of the Church (as is so often is asserted by critics), but rather a careful assessment of the particular books, a consideration of their oral tradition and apostolic witness, and the identification of the theological stream which correlated with companion canonical works. It is believed as well by Christians that the process of canonization was guided by the Holy Spirit. Now as we indicated earlier, the post-Enlightenment paradigm gave rise to higher critical biblical studies, especially New Testament studies, as NT scholars sought to discover the "Jesus of history" as opposed to the "Christ of faith," the former having to do with the rabbi who walked the land of Galilee 2,000 years ago, the latter having to do with the "heavenly Christ," worshipped by the Church. The central objective of this study was to try and probe into the historical past and literally unearth the man from Nazareth. In 1906, Albert Schweitzer surveyed the Enlightenment and post-Enlightenment (Romantic) attempts to exhume the historical Jesus from the pages of the New Testament, and he concluded that the First Quest (1778-1901) had failed miserably because the researchers brought so many philosophical presuppositions to the table, that such a quest was doomed to fail because it simply reflected the presuppositions of the researcher -- thus, every Jesus figure was simply a reflection of the respective researcher. Schweitzer's comments have haunted the New Testament scholarly world to this day, warning all who participate, that their invesigation of Jesus will be more eisegetical than exegetical -- thus, an individual Jesus portrait for every researcher. During the post-Schweitzer era (1906-53), the period of the First Quest was supplanted by the era of the No Quest, such was the power of Schweitzer's condemnation of historical Jesus studies. This was the era of Martin Dibelius and Rudolf Bultmann who believed that the Synoptic Gospels contained little or nothing regarding the historical Jesus. Instead of viewing the Gospels as historical sources for a life of Jesus, Bultmann and his students decided that the Gospels were valuable because they could reconstruct the kerygma (preaching) of the early Church. In other words, the historical Jesus was literally unreachable, but by examining his words, we could understand the intent of the early Church since it was the Church who composed the Gospels and put their late first century concerns on the lips of Jesus. For example, when Jesus cleanses the Temple (which has now been expanded and is referred to as Jesus's confrontation in the Temple), this is the Church saying that Christianity has superseded Judaism, much like the Epistle to the Hebrews tells us. Another aspect of Bultmann's methodology was to "demythologize" the Gospels - in other words, to take out the mythological elements such as miracles, etc., and thereby discover the heart of each pericope (i.e. short story, for instance, Jesus's baptism by John, the feeding of the 5,000 and/or 4,000). By taking out the apparent mythological elements in the Gospels, Bultmann believed that he could discover the "real Jesus," and through this process, understand the concerns of the early Church. Moreover, according to Bultmann, who was highly influenced by the existentialism of Martin Heidegger, it wasn't the historical Jesus who was so important (after all, it was impossible to totally reconstruct him) -- rather, it was the Christ of faith who demonstrates his power to believers in the hear and now. Bultmann's Jesus no longer walks the countrysides of Galilee, or the streets of Jerusalem; no, instead, Bultmann's Jesus walks the battlefields of war torn Europe, an alienated landscape of death, destruction, misery, starvation, and ultimate sorrow (World War I). 1) Jesus was born ca. 4 BC, near the time of the death of Herod the Great. 2) Jesus spent his childhood and early adult years in Galilee (Nazareth). 3) Jesus was baptized by John the baptist. 4) Jesus called disciples to follow him. 5) Jesus taught in towns, villages, and in the countryside (but not in cities). 7) Jesus went to Jerusalem for Passover when he was about 30 years old. 8) Jesus created a disturbance in the Temple compound. 9) Jesus had a final meal with his disciples. 10) Jesus was arrested and interrogated by Jewish authorities - high priest. 11) Jesus was executed on the orders of the Roman prefect, Pontius Pilate. 1) His disciples fled at first. 3) His disciples accordingly believed that he would return to found kingdom. 4) His disciples formed a community to await his Messianic return, and sought to win others to faith in him as God's Messiah. The importance of Sanders's work is (1) his emphasis on the sociological and political elements which were present in the first century AD, and (2) the idea the Jesus's action in the Temple is what eventually led to his crucifixion. The latter would become a standard for nearly all liberals involved in the New Quest. The most recent research has hearkened back to the period of "oral tradition," where stories about Jesus were told over and over in the context of an "oral culture." The difficulties for us to understand the "oral culture" (due to our post-Gutenberg paradigm) are nicely illustrated in James Dunn's work "A New Perspective on Jesus: What The Quest For The Historical Jesus Missed." Other criteria for uncovering the historicity of the real Jesus can be determined by invoking the methodology of the oral culture. It is important to note that the Jesus Seminar is a self-appointed body with a mission to offset the conservative scholarly thrust which is present throughout North America. The Seminar, regardless of subjecting its works to peer review (except in some cases), has determined to bring liberal academic scholarship to the common man -- for this reason, the aisles of Barnes and Noble are adorned with books written by fellows of the Jesus Seminar. Also, special television shows on National Geographic and Discovery Channel are crammed with liberal scholars spouting out all sorts of heterodoxies to an unsuspecting public. All in all, as a polemical campaign, the effort has been somewhat successful because most readers and viewers are not widely read in these areas. Thus, the effect of the Jesus Seminar has been rather shocking to the North American public. Heralds such as Time and Newsweek have quoted many of the fellows of the Seminar, stating that only 25% of the Jesus sayings in the New Testament are authentic. Or, Jesus never uttered the Lord's prayer. Or that the Gospel of John is a complete fabrication. Without the Jesus Seminar preparing the field, books and films like "The Da Vinci Code" could have never been made. Though the methodology of the Jesus Seminar has been exposed for its flaws and biases, the fellows of the Seminar present themselves as doing inductive, scientific work (with an air of triumphalism), exploring the sayings of Jesus against the cross-currents of first century sociological and political conditions. Some might respond, "Yes, but their work is scientific and democratic. What's wrong with that?" Well, sadly, "appearances" aren't always what they seem to be, especially in the case of the Jesus Seminar. Their methods are neither scientific or democratic, and the ghost of Schweitzer has come back to haunt them, accusing them of creating a Jesus figure in their own image. Nearly all of the scholars involved in the Jesus Seminar already had a presupposed construct of the historical Jesus, not only in their minds, but in their writings - even before the advent of the Seminar. There is nothing objective about the method and process of the Jesus Seminar, although they have hoodwinked the North American populace into thinking that what they are doing is sound scholarship which is representative of cutting-edge hypotheses. In sum, no one comes to the Seminar's table with a tabula rasa - each scholar has his own hypothesis, and he or she will pick and choose which sayings of Jesus fit into his or her presupposed construct. *It is important to note that there are numerous key works on the topic of the Historical Jesus which range from the popular to the scholarly. In the above list I have tried to provide a combination of works, some specific, some encyclopedic, all scholarly, in order to enhance the student's understanding of this most interesting and important topic.